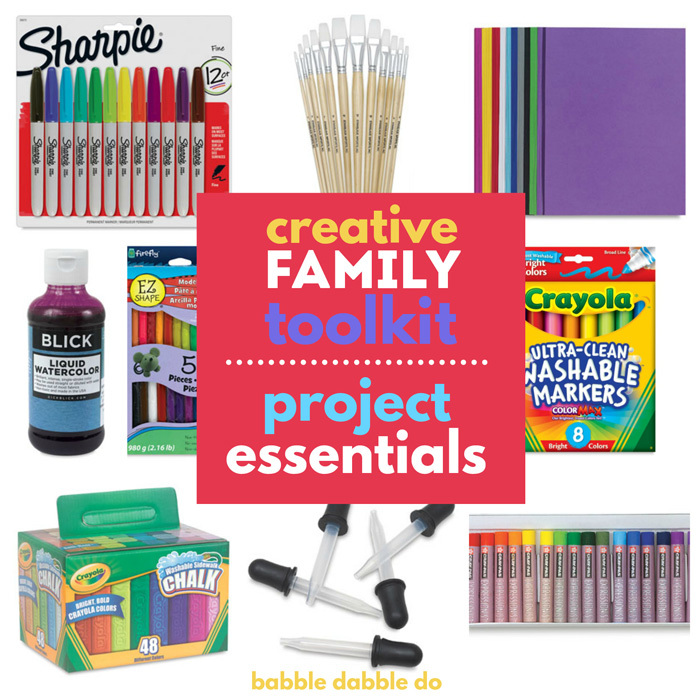 You are here: Home / Creative Basics / How to Make Goop…and Freeze It! How to Make Goop…and Freeze It! I first learned how to make goop at our co-op preschool but I am always amazed at how kids of all ages adore this non-Newtonian fluid. And what’s not to like? 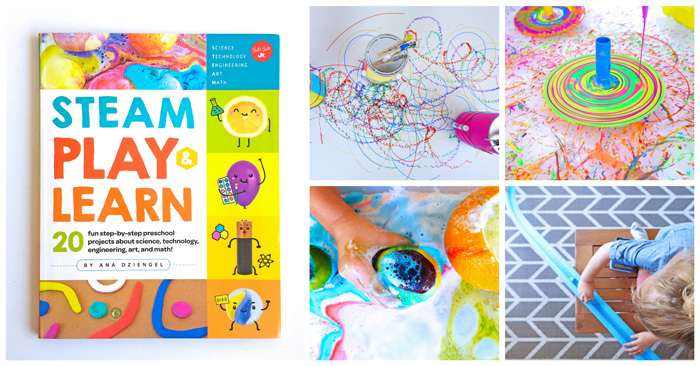 It’s slimy, strange, and colorful and has loads to teach kids about art, science and more! 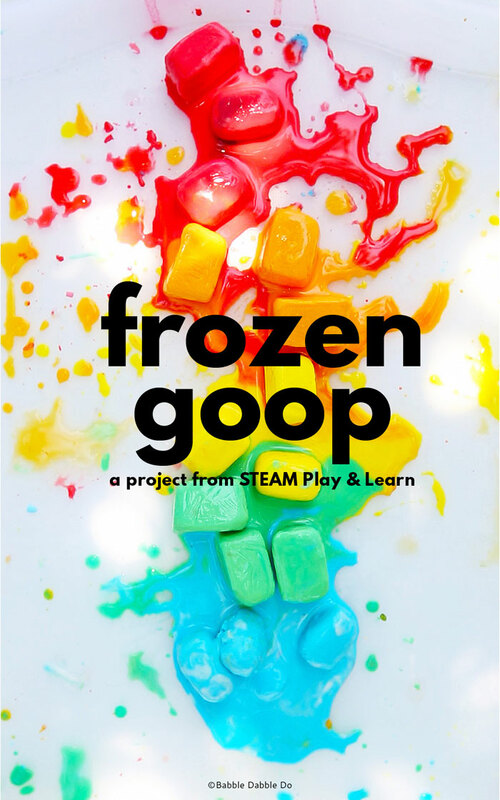 Frozen Goop is a project from my new book STEAM Play & Learn available June 5, as in next week! 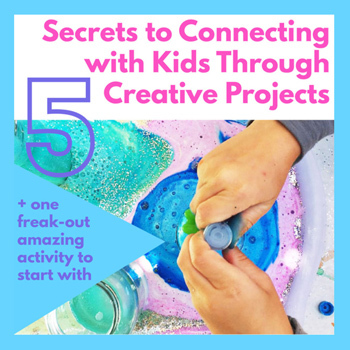 STEAM Play & Learn is geared towards preschoolers but many of the projects are suitable for kids of all ages. If you want to pre-order now we are giving away a set of the entire STEAM Kids eBook collection for anyone who pre-order the books and submits their order number here. See the end of this post for more details! Combine 1 1/2 cups cornstarch and ¾ cup water in a large bowl. Add in some food coloring and stir to combine. If this is your first time making goop AKA oobleck, here is the consistency you are aiming for: You should be able to press a handful of goop into a ball in your hand and it will feel solid. As soon as you release the pressure the ball should “melt” back into a liquid. 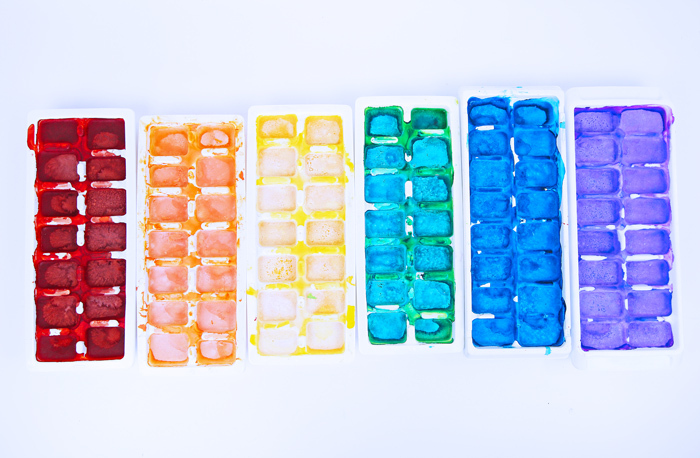 After mixing the colored goop, quickly pour the mixture into an ice cube tray. When you are ready to play pop the goop cubes out of the tray. NOTE: As the goop warms up it will be harder to remove from the trays. Be sure to pop out the cubes soon after removing the tray from the freezer. Place the frozen goop ice cubes in a tray. As they melt they will turn into goop, a substance that sometimes acts as a liquid and sometimes feels like a solid. A NOTE ON TEMP:The frozen goop cubes are really cold at first. Depending on the outside temperature you may want to let the cubes warm up for 15-20 minutes before letting kids play with them. 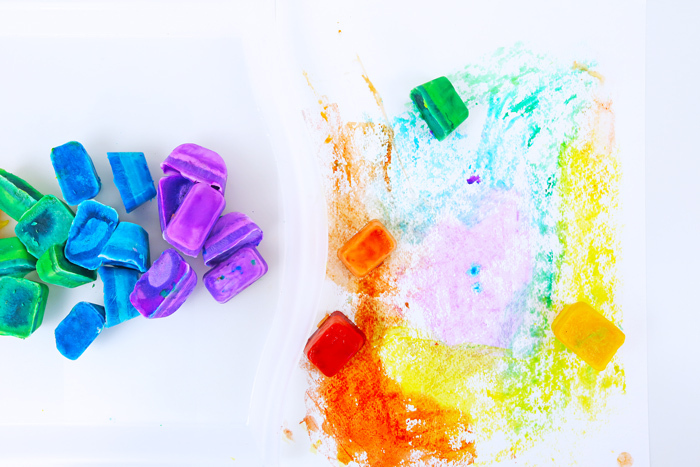 Paint with it: Rub the melting goop cubes on a piece of watercolor paper to create a painting. Let dry and flake off any extra. Draw with it: Use the goop cubes like chalk on the pavement outside. You won’t see much as you draw but watch your drawing appear as the goop dries. 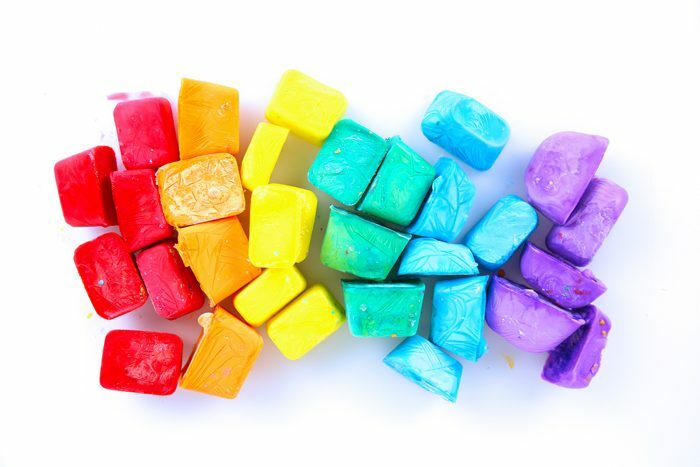 Do some color mixing: Place a few cubes of two primary colors on three different styrofoam plates. Watch the secondary colors appear as the goop melts. This project demonstrates states of matter. The basic states of matter are solids, liquids and gases. Frozen goop is a solid. When the goop melts it turns into a liquid…or does it? Goop is special type of substance because in it’s natural state it can act like both a solid and a liquid. 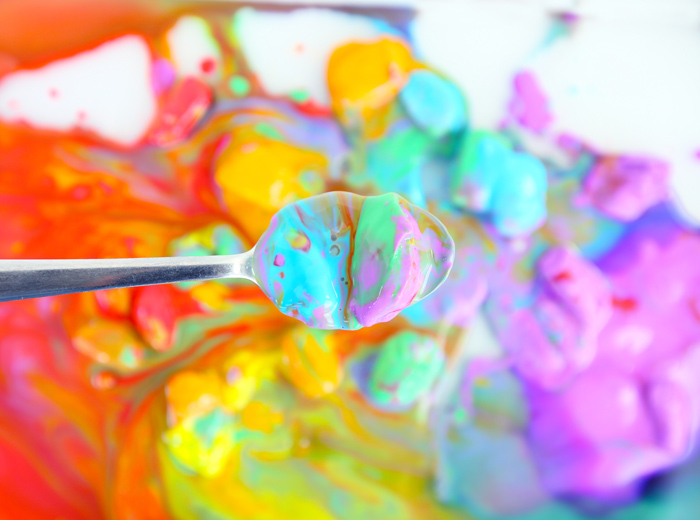 It’s called a non-Newtonian fluid which means the way it flows changes when you add pressure to it. When you press goop into a ball in your hand it feels like a solid but as soon as you let go it flows like a liquid. 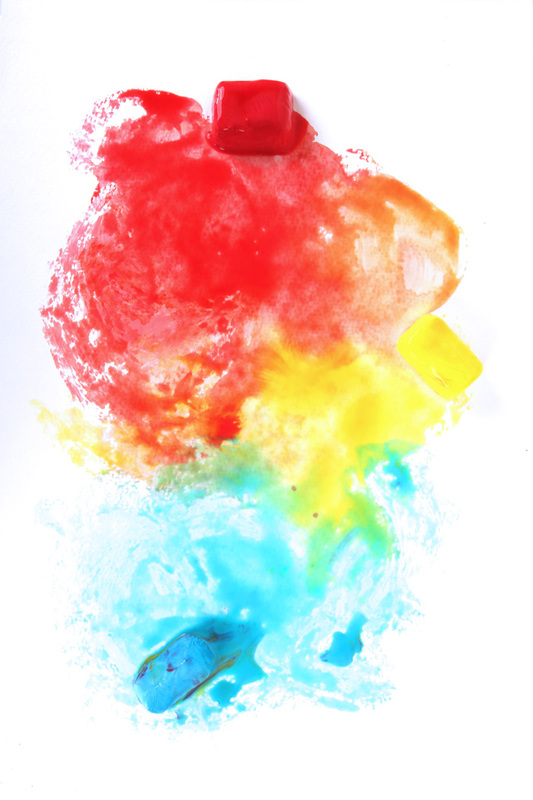 Limiting yourself to primary colors of goop and then combining those colors is great way to learn about color mixing. By combining two primary colors you will create a secondary color. 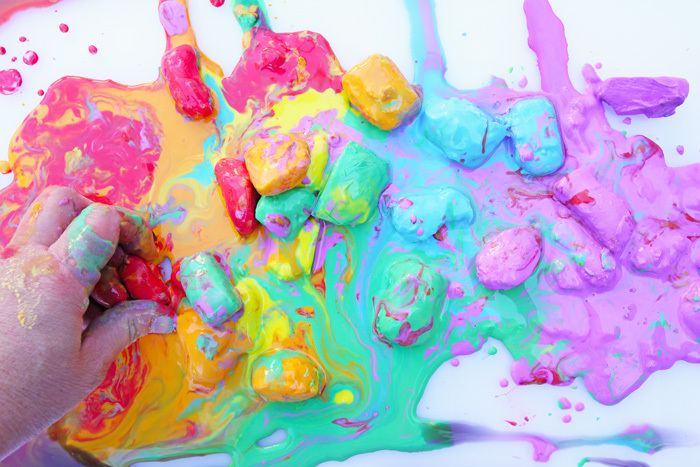 What happens when all the goop colors mix? What color do you get? Make a batch of uncolored goop and pace in a large tray. 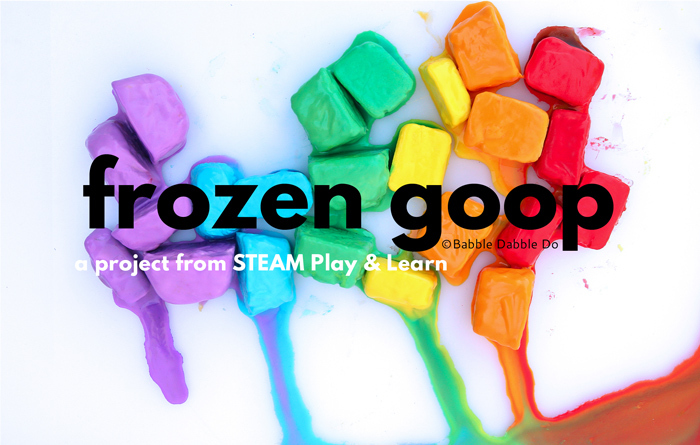 Add different colors of frozen goop and watch them melt and marble into the white goop. 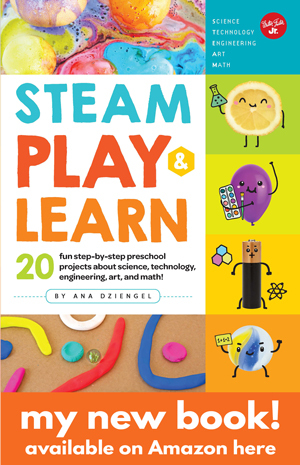 As I mentioned earlier STEAM Play & Learn is available online NOW for pre-order and will begin shipping on June 5! 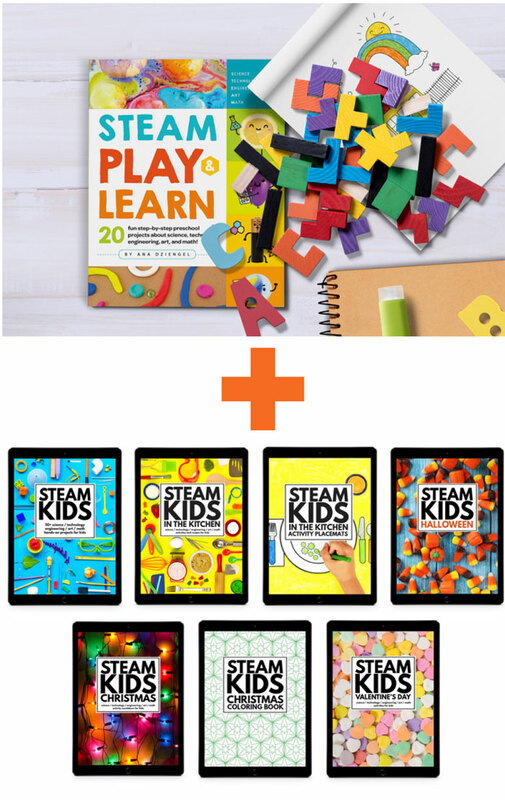 And if you pre-order between now and June 4 and enter your order number via this form you will be entered to win an entire set of the STEAM Kids eBooks. 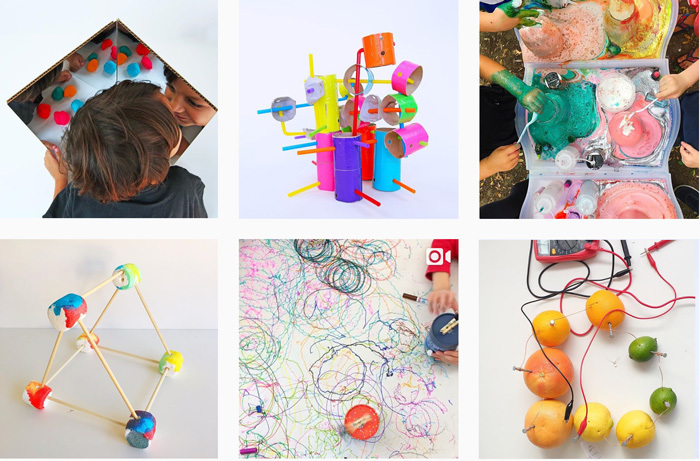 In the meantime I’m sharing lots of pics from the book and outtakes on Instagram with the hashtag #steamplayandlearn. Hop over here to follow along. 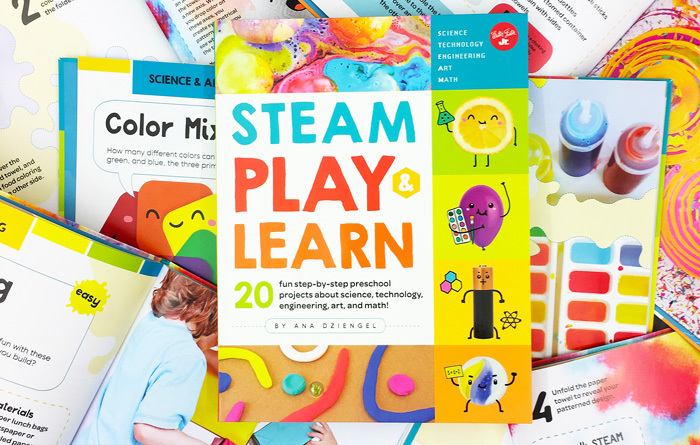 And if you try any posts from the book be sure to tag them in IG using #steamplayandlearn!